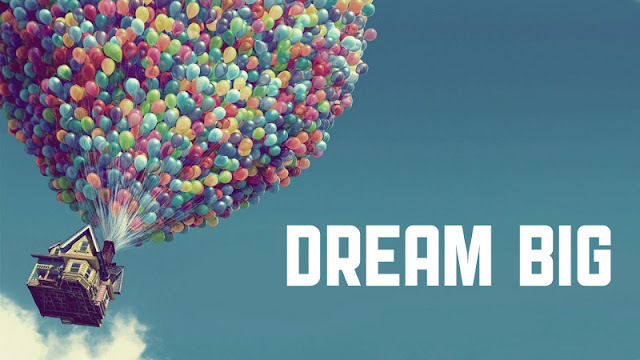 Do you have dreams? How many of your dreams have you achieved? If you haven’t achieved any, then, how do you intend to achieve them? Dreams can be very sweet and sometimes too good to be actualized, but the truth is, any dream can come true. As I sat to think, it occurred to me that there are many of our dreams that are yet to be actualized thus, the reason for this series teaching to help us bring our dreams and visions to reality. In actualizing of any dreams, a lot of forces are required and today’s part will focus on the force of CONFIDENCE. For instance, history will never forget the man called Winston Churchill. Churchill was a man who had a great dream, and was able to live his dreams through confidence. While Churchill was in school in Harrow at age sixteen, Churchill’s response to a classmate’s query about his future was bold. “I can see a vast changes coming over a now peaceful world,” said the teenage Churchill, “great upheavals, terrible struggles, wars such as one cannot imagine; and I tell you London will be in danger, London will be attacked and I shall be very prominence in the defense of London… in the high position I shall occupy, it will fall to me to save the capital, to save the empire.” What a dream! Growing up, Churchill was merely an average student. He was clumsy. But that didn’t stop his dreams. His long term goal was to enter politics where he’d actualize his dreams. He was so confident that his dreams could be actualized that he decided to make a name for himself first by joining the army. In 1899, Churchill resigned from the army to pursue his political career. He ran for a seat in parliament and lost. Later that year when war broke out in South Africa, Churchill went there to cover it as a correspondent for the morning post. Two weeks later, as he traveled with troops on an armored train, rebels attacked and derailed it. Churchill took charge and rallied the troops. He helped to clear the rails allowing the locomotive and the tenders to escape with the wounded. Then he went back to try to help the troop’s commander only to be captured. He was taken to a temporary prison in Pretoria. But Churchill refused to give in to defeat because his dreams were at stake. He climbed over the prison wall and hopped a freight train. When he arrived at Durban, he found that he had become a national hero and an international celebrity. After returning to England, he ran again for parliament where he’d once lost and won. In 1940, he was chosen to be prime minister after Prime Minister Neville Chamberlain was forced out from office. After Europe fell to the Nazis, Great Britain stood against them for two years with Churchill as their leader. He defiled Hitler and continually rallied people of the nation despite repeated bombings from the Germans. He saw it as a young man and confidently went for it until he became it. Confidence is what’s needed to pursue ones dreams despite all odds. The question is, how can we build confidence to begin the actualization of our dreams? Let me quickly highlight four useful tips that we can use to build confidence. The first and greatest obstacle to success for most people is their unbelief in themselves. The lack of trust in oneself can kill confidence thereby leading to continuous procrastination and fear. You can become whatsoever you want to if you can only believe it. Believing that you can become anything in life will trigger the confidence you need to stand up and take steps. A life of excellence will give you confidence to pursue your dreams. For instance, the excellence of a product will determine the confidence that will be applied to promoting it. For instance, having an authority in your field to give a thumb up to your idea or product will increase your confidence to take it to anywhere. That’s what excellence does to confidence. It boosts it. 4. KNOW WHAT YOU CAN DO. What can you do? Is a question if answered properly can help lift anyone into the realm of the unimaginable? Sometime ago, after waiting for the manager of a media outfit to request from him a slot on radio for my motivational program, he came and hit me with this question that sometimes requires a one minute answer. He asked me “young man, what can you do to help our audience?” and after giving him a one minute answer with clarity, he gave me 20 minutes weekly for a whole year without demanding for a fee. I knew what I could do and that gave me the confidence to approach him. I strongly believe that these tips will help you to build confidence and take those steps to bring it to reality. Please follow this thread for the other parts of this series teaching.